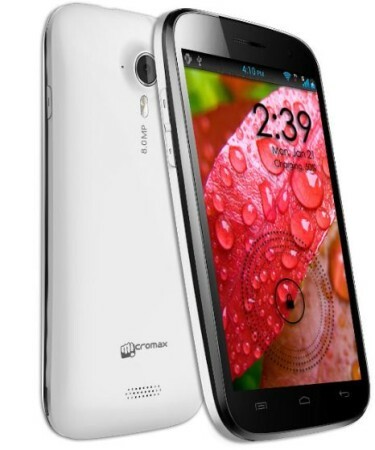 Micromax A116 is Micromax’s First Quad core superfone (smartphone) . Micromax A116 is successor to there highly popular smartphone – Micromax A110 Canvas 2 .Micromax is well known & highly popular mobile manufacturer of India . Micromax A116 is also known as Canvas HD . Not just Micromax’s first Quad Core handset but also it is the first Quad core handset of India at budget price . The time when A116 was launched the price of the phone was around Rs 14,000 but now Micromax Raised its price to Rs 15,999 . Should I Buy Micromax A116 for Rs 15999 ? Well , before we make any statement or we say anything about this , we should have look on its specs & features . Canvas HD has 5inch capacitive display having resolution of 720×1280 pixels about 293.72pixels per inch (ppi) . No doubt , Micromax A116 runs smoothly and performance of quad core smartphone can not be compared with a Dual core smartphone . Canvas HD runs on Mediatek MTK6589 Quad core Chipset having frequency of 1.2 GHZ . Canvas HD has 1GB RAM & 4GB of ROM . Micromax A116 runs on Android 4.1 jelly bean . Playback on the device is smooth you can easily play 720p & 1080p videos without any kind of lag . Micromax A116 Canvas HD comes with 8MP rear camera and 0.3 MP front Camera . Micromax A116 can easily record 1080p videos at 30fps . Continous focus during video recording and touch to focus is supported for capturing images . Gaming performance on Canvas HD is smooth and lag-free . Canvas HD can easily play high graphics and basic games smoothly . You may find some problem while installing high size games because memory for installing apps is limited to 0.9GB . The device is powered by 1.2GHZ Mediatek MTK6589 Quad core Cpu . Micromax A116 has 1GB Ram and 4GB of Rom . Micromax A116 has 8MP camera at rear with LED flash and 2MP at front for occasional video calling . 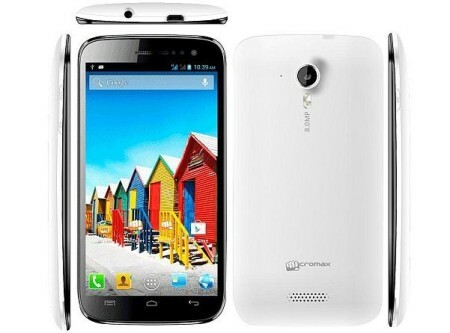 Micromax A116 Canvas Hd has light, G-sensor & proximity sensor . Micromax A116 supprorts 3G which gives you speed upto 21mbps , Wifi with wifi hotspot , Bluetooth & micro USB port both with thethering support , GPS & 3.5mm audio jack . Micromax A116 is powered by 2000mAH battery . Micromax A116 does have Dual SIM capability . Overall Specs of Gionee Dream D1 are almost similar to Micromax A116 rather than Display . Gionee Dream D1 has 4.65 inch Super Amoled Display of 720p resolution . Price Of Gionee Dream D1 is more than Micromax A116 . 2. UMI X2 – Umi X2 has 2GB Ram and is powered by same chipset that you see on Canvas HD . But UMI X2 is not available in the market to buy . 3. Xolo X1000 – Xolo X1000 runs on 2GHz intel Atom processor . Overall Xolo X1000 has better specs then all above phones & also you need to pay Rs 5000 more to buy x1000 in comparison to Micromax A116 Canvas Hd . 4. Xolo Q800 – Xolo Q800 is also another tuff competitor for Canvas HD and all other Quad core Smartphone due its low price . It has 4.5inch Display and processor on xolo Q800 & Micromax A116 is same . 5. UMI X1s – Umi X1s is upcoming Quad core handset from UMI . Umi X1s specifications are very much similar to Xolo Q800 . It is Lowest Price Quad core handset from all above but i don’t think Micromax A116 Canvas HD can be ignored due to this phone . 6. Alcatel One Touch Scribe HD vs ( Review) – Well Alcatel is most trusted brand from all above and is well known for its smartphones all over the world . Alcatel One Touch Scribe HD has 5inch display of 720 p resolution and is powered by Quad Core chipset . One Touch Scribe HD also comes with stylus . You can check out our review on Alcatel one touch scribe HD . Micromax A116 Price in India Rs 15,999 ( present price ) . Good news is that you can easily buy it from market as now it is available in retailers shops .. I think now you can easily decide whether Canvas Hd is good smartphone to buy at this price or not . You can Buy Micromax A116 Canvas HD from Flipkart . Karbonn Titanium is another worthy competitor to Canvas HD.